Safeguarding Essentials – Safeguarding made simple. tootoot, partnered with Barclays, has received funding to provide every school in the UK with the tootoot safeguarding platform and application for FREE! Initially being rolled at in the North West, Regional schools commissioner, Paul Smith, is driving the roll out of a new safeguarding and prevention platform and app, tootoot, across all primary schools, secondary schools colleges and Universities in the UK, in an effort to combat all forms of bullying and safeguarding issues. 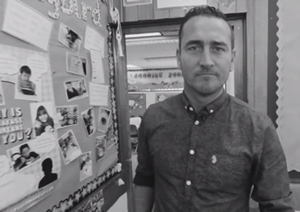 The initiative, which is also supported by actor Will Mellor, will provide students with an online platform to securely and anonymously report any incidents directly to their place of learning. Tootoot is available 24/7, 365 days a year and is six times more effective than face-to-face reporting. It is used to support the education system by raising awareness of safeguarding issues and improving the overall learning environment for young people across the whole of the UK. The platform and app, developed with the support of Barclay's, will also help to promote equality, support diversity and increase confidence in school pupils and college students across the regions. To date tootoot has already helped over 55,000 students have a voice to speak up in over 100 schools, in less than 6 month, across the globe. Tootoot has also become an educational lead for places of learning, local authorities and MAT’s with The Counter Terrorism and Security Act 2015 and their Prevent Strategies. The CTSA 2015 states local authorities have “due regard to the need to prevent people from being drawn into terrorism”. 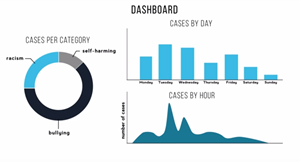 The first safeguarding platform and app, developed in partnership with Barclays used in primary schools, secondary schools, colleges, and universities, which allows students to safely report any worries and incidents of bullying, cyber bullying, racism, extremism, radicalisation, sexism, mental health and homophobic issues directly to their place of learning. Recording safeguarding incidents is of the utmost importance for educational institutions, which is why we’ve made it better. We developed tootoot with the help of safeguarding officers across the country, drawing upon hundreds of years of collective experience and expertise to ensure that the recording, handling and tracking of incidents is easier than ever before. That’s right, no more paperwork! With the click of a button, tootoot’s real-time dashboard collects, analyses and creates detailed, easy to read reports instantly, anytime. No more wasting time hunting through filing cabinets hours before an Ofsted inspection, regulatory body visit, or governors and SLT meeting. All parents worry about their children whether they’re at primary school or university. Many of the safeguarding officers and team members that developed tootoot are parents themselves and the safety of young learners and students are our highest priority. The parent feature within tootoot, allows parents to report their own concerns anonymously, directly to their child’s place of learning. If you would like to sign up your school free today then click here or visit www.tootoot.co.uk to sign up or find out more.